Want to learn more about the new leader of the Conservative Party of Canada? Good luck. Want to learn more about the new leader of the Conservative Party of Canada? 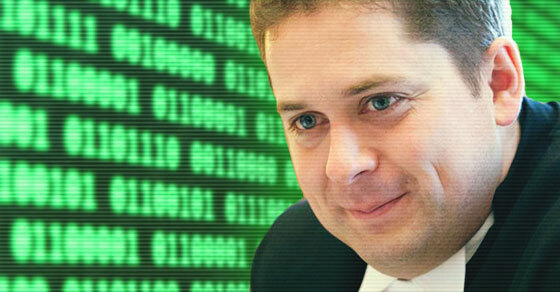 Good luck – if you try a simple Google search, it looks like you may have some trouble getting a straight story about Andrew Scheer. Another thing that vanished: every single policy Scheer said he’d advocate if he won the Conservative leadership. What’s Scheer got to hide? Well, the new leader is eager to present himself as moderate and middle-of-the-road – not “extreme,” as Scheer puts it. Yet within minutes of winning the leadership, Canada’s Religious Right was declaring victory and taking credit for getting-out-the-vote and helping Scheer win. Why would Canada’s biggest anti-abortion groups and other social conservative groups throw their support behind Scheer? Scheer would have you believe he would not re-open the abortion debate. That’s significant because Scheer won leadership with the support of anti-abortion groups who have been stacking conservative nomination meetings around the country to quietly elect a slate of “pro-life” candidates – these groups recently claimed credit for electing the Conservative MP who succeeded Jason Kenney as well as a 19-year-old PC MPP in Ontario. When Andrew Scheer launched his bid to become Conservative leader on September 28, 2016, guess who’s name appeared as the media contact at the bottom of the press release? Hamish Marshall, one of the directors overseeing Ezra Levant’s alt-right Rebel Media website and campaign manager running Scheer’s leadership campaign. • Rebel Media’s former White House correspondent was recently linked to a disinformation campaign targeting French elections and later appeared on Alex Jones’ Infowars where he suggested French President Emmanuel Macron is under the influence of “mind control” drugs. • Meanwhile, other Rebel Media contributors have been known to defend fascism, talk of white genocide and call for a “crusade” to “retake Bethlehem” in the name of Christianity. • Rebel Media’s UK contributor was found in contempt of court and given a three-month suspended sentence after filming a clip for Rebel Media aggressively confronting defendants outside a court house. Scheer himself has appeared on Rebel Media – as recently as last weekend after winning the Conservative leadership. 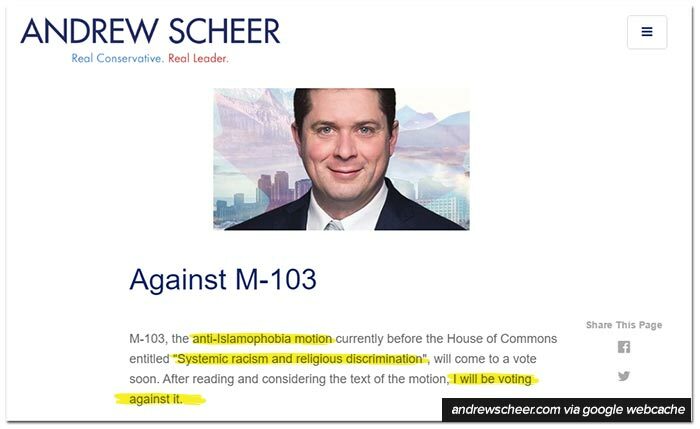 Also found on Scheer’s website: a statement indicating he’s “voting against” a motion condemning “systemic racism and religious discrimination” following a terrorist attack targeting a Québec City mosque by a white nationalist extremist. 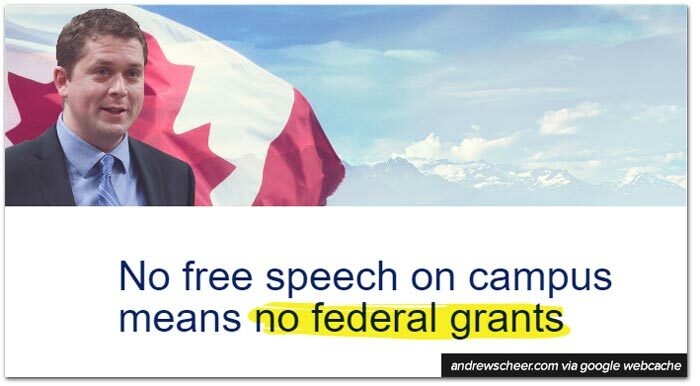 Scheer claimed he’d be “voting against it” on the grounds that it only condemned discrimination against Muslims and suggested the motion could threaten free speech – a false claim that misrepresents what a motion is. 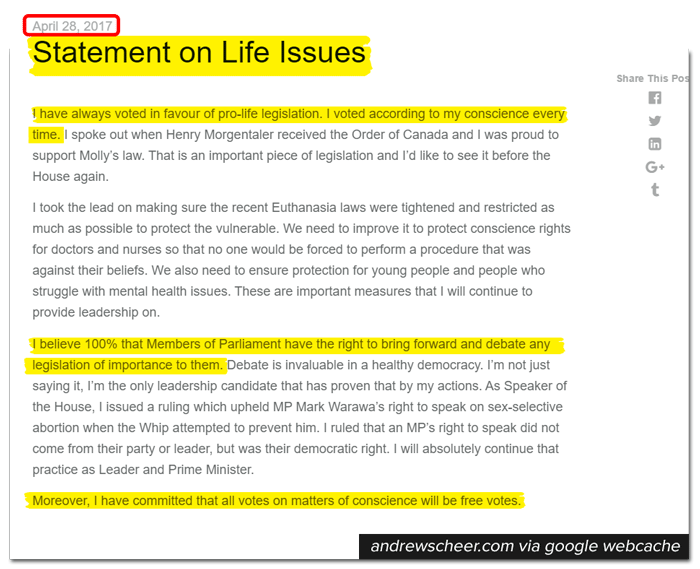 Another thing that undermines Scheer’s claim is the fact he was sitting in the House of Commons several months earlier when a similar motion “condemning all forms of Islamophobia” received unanimous support. Another way Scheer showed how he’d show social conservatives some love is by subsidizing tuition fees for wealthy parents who choose to send their kids to elite or religious private schools. Scheer wants to do this by bringing in a boutique tax credit that few low and middle income parents could realistically take advantage of. And to make his case, he points to numbers provided by the Fraser Institute, a right-wing think tank that previously advocated for a similar tax credit for wealthy parents. Scheer claims he’s doing this in the name of “free speech,” but he made a point of telling social conservatives last month that he would specifically punish any university that prevents them from staging anti-abortion protests on school property. In other words, Scheer’s suggesting the federal government weigh in on a hypothetical dispute between a student union and an obscure “pro-life” group distributing pamphlets with gory images by stripping funding from Canadian cancer researchers. Photo: C. Colen. Used under Creative Commons license. Facebook. Note to self: don't be a jerk. Note to self: don’t be a jerk. 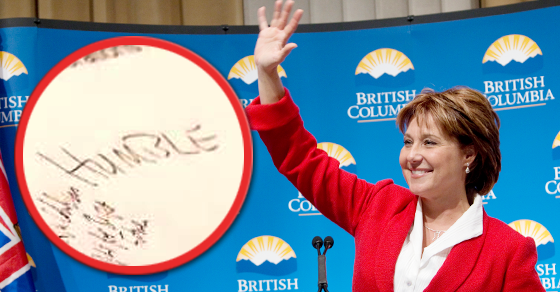 You can draw your own conclusions, but Christy Clark looks like she’s trying her darndest to maintain her composure and not come across like she’s desperately trying to cling to power in what might be her final days as British Columbia’s Premier.